Laki is Iceland's largest volcano. Its eruption in 1783 is one of history's great, untold natural disasters. Spewing out sun-blocking ash and then a poisonous fog for eight long months, the effects of the eruption lingered across the world for years. It caused the deaths of people as far away as the Nile and created catastrophic conditions throughout Europe. 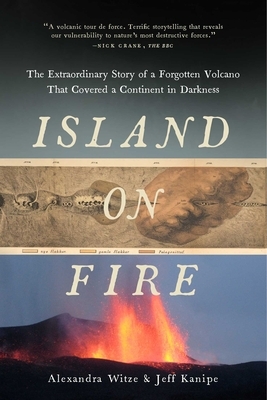 Island on Fire is the story not only of a single eruption but the people whose lives it changed, the dawn of modern volcanology, as well as the history--and potential--of other super-volcanoes like Laki around the world. And perhaps most pertinently, in the wake of the eruption of another Icelandic volcano, Eyjafjallaj kull, which closed European air space in 2010, acclaimed science writers Witze and Kanipe look at what might transpire should Laki erupt again in our lifetime.